If you're ever in UCLA's Westwood Village, check out Stan's Donuts, just named one of the ten best donut shops in the USA by Maxim Magazine. For over 40 years, Stan's Corner Doughnut Shop of Westwood, California, has baked the world's most gourmet donuts. Every customer finds something to satisfy their donut desires--from a Cinnamon Chocolate Cheese Danish, to an Apple Fritter, to a Reese's Peanut Butter Pocket with fresh banana. Stan's offers donuts you will find nowhere else in the world. You can take a look at our 75+ varieties on this site, and learn more about how Stan's has grown from a small shop frequented by locals, to a nationally-acclaimed donut heaven recognized for creating the world's finest donuts. 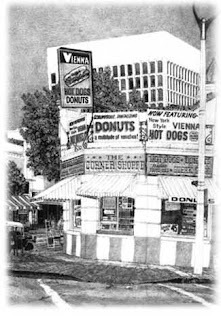 In 1965, Stan Berman, a third generation baker, opened his first bakery, The Corner Shoppe in the heart of Westwood Village, the home of UCLA and adjacent to Beverly Hills, Brentwood, and Bel Air. The shop thrived as customers appreciated the delicious new varieties Stan would experiment with. With high quality ingredients and a delicious final product, Stan's Donuts became more than just popular. Generation after generation of UCLA students would munch on the delicious treats for breakfast, as an afternoon snack, or to satify their late-night munchies after a movie. These alumni keep coming back to Westwood-to visit their alma mater and to remember how delicious Stan's Donuts are. Although he experimented with several stores in other locations, Stan eventually decided to stick with his original shop on the corner of Broxton and Weyburn. 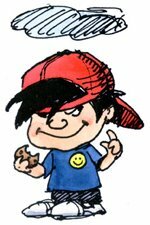 The name evolved into Stan's Donuts and as many new shops came in and went out of the Village, Stan's remained. Now, as one of the oldest stores in Los Angeles, Stan relies on the time-honored strategy that has kept his donut shop successful for so long: high quality, fresh ingredients (in a multitude of scrumptious varieties), an amiable attitude toward his customers, and of course the pride and love that go in to baking his donuts every day. 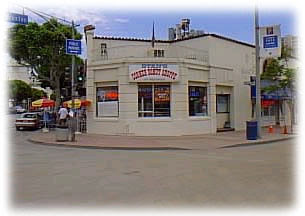 In 2005, Stan and his son, Scott Berman, acquired Master's Donuts in Thousand Oaks, California, and will be transforming the store into a Stan's Donuts producing the same high quality product and service that Stan offers his customers in Westwood Village. Now you can enjoy Stan's Donuts at 2 locations. Our original store in Westwood Village, California is located at 10948 Weyburn Avenue. You can reach us by calling (310) 208-8660 or by e-mail at stan@stansdoughnuts.com. Our newest store is located at 658 N. Moorpark Road in Thousand Oaks, California, in the new Whole Foods shopping center at the corner of Wilbur and Moorpark Road. Contact us by phone at (805) 381-1818 or by e-mail at scott@stansdoughnuts.com. If you don't live near one of our locations, however, We ship donuts anywhere in the country overnight. Please click Order Donuts to learn more about how you can be eating Stan's gourmet donuts tomorrow! Have we ever been here together?